Don't miss Santa María del Mar, a gothic church in the Born district, one of the top sight in the Catalan Capital. 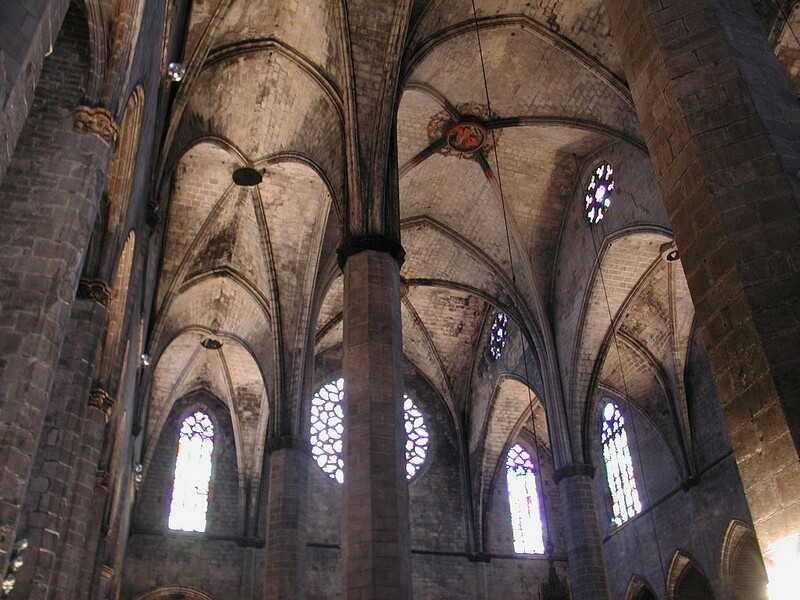 Santa María del Mar is a medieval church built between 1329 and 1384 in the Ribera district of Barcelona. 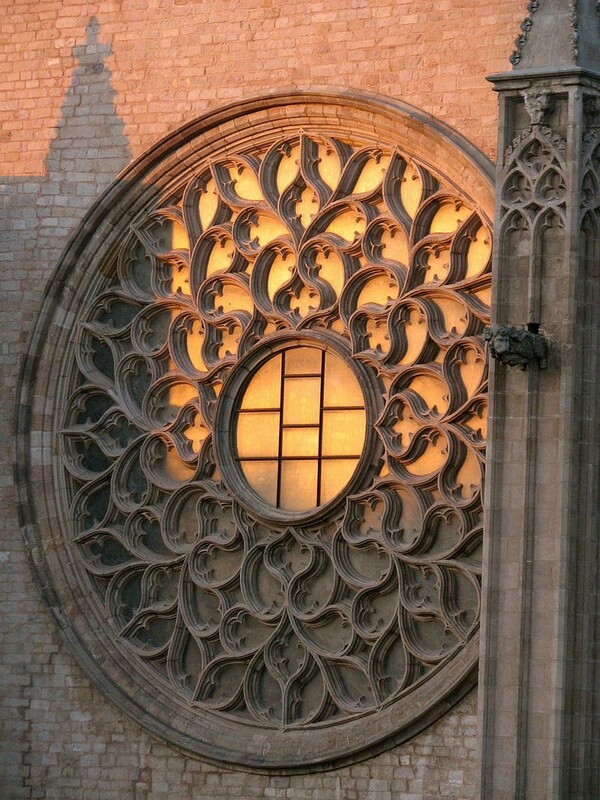 The building, designed by Berenguer de Montagut, is one of the finest examples of Catalan Gothic arquitecture. The impression of spaciousness, that greatly contrasts with the external view of the building, is achieved by the 13 metre octagonal columns that support its vault. The three isles feature stained-glass windows, including a great rose window and the portrayal of the Ascension. Santa María del Mar was the temple of the filigrees from the neighbouring area and the city docks, including the bastaixos, men who actively collaborated in its construction by carrying stones from the beach or the Montjuic quarry on their backs. The church and its construction set the background for Idelfonso Falcones's novel Cathedral of the Sea. Paying close attention to the details of the main door of the church, a hommage to the bastaixos.